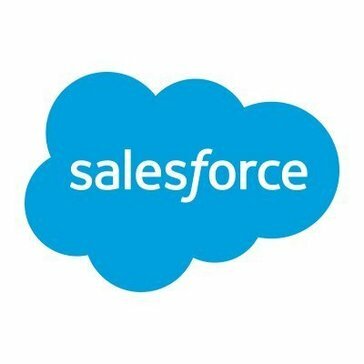 Work for Salesforce Data Management Platform (DMP)? Learning about Salesforce Data Management Platform (DMP)? I like how intricately it is designed so that you can build out pretty much whatever your business needs. There are so many great tools for reporting, analytics, data management, process tracking, sales orders, etc. It is also easy to use and has a clean interface. I don't have any complaints about it, only the way that our company would restrict how certain fields were created. There's a separate special position for the person who creates all of our forms and reports within SF, maintains data integrity, improves process efficiency, etc. Make sure you have someone who is advanced and trained in SF or you will be missing out on a lot of its features and may not really know how to build out what your company needs. Process flow, data management, etc. It is very flexible and the data can be easily exported, manipulated, filtered, etc. to anything you want to show. It also helps with sales forecasting and reporting. "easy to use and combine with Groove"
I like how we use it as a team in the office. It is easy to organize our leads and track our calls. Some times there are issues with loading times. Simple to organize and prospect using salesforce and keep track of my calendar. I like the ability to capture all of data. I am able to reach customers in areas where they are location and business wise while also being remote myself at times. Not much that i do not like.I think it is a great program. Look into the benefits as it is a product that will assist in several different aspects of the business. We use it for noting accounts and reaching out internally. It also benefits our technician in dispatching/ lightning. "Its probably the best for what is doe! " Salesforce is a huge product with tons of ways to help your business! And so many products interacting with Salesforce it is an incredible tool. You already know you should, at the very least, look into salesforce. It is a great product with a lot of great uses. We used salesforce to track all contacts and leads from our accounts and assign them to various sales leaders, customer service teams, and trainers. "Great for dashboards and reports! " While report pull set-up can be exhausting because the options are extensive, data reporting with Salesforce is also one of the biggest draws. You can pull a report on almost anything you can think of. The system can be a bit buggy. Information is sometimes lost, especially when there are updates. We use Salesforce as an Applicant Tracking System. It's primarily used for producing offers and data reports. The platform allows you to track progress with clients in your pipeline in % increments and with useful brief comments. The search feature isn’t the greatest- overall the user interface can use an upgrade. Be sure to update pipeline regularly so data remains accurate. Allows me to track customers and deals in progress. I have benefited from staying organized and being able to forecast income for the year. "Robust system, easy to use once learned"
I love how it tracks everything and easily allows you to create reports with the data entered. The options are endless with saleforce. There are many different ways of setting up clients. There are so many options it’s may be confusing as to what saleforce can do. Keeping track of contacts versus accounts and details within the accounts enables me to keep track of any kind of information on clients. Pretty easy to put in memberships and look things up. Pulling reports is a pain, and finding exactly what you want can be difficult. It's nice to keep customers' record including their information and communication history. For some reason, our VIP customer information cannot directly loaded using our platform called Jade. The system is very useful for sales data. There were not any dislikes using the product. * We monitor all Salesforce Data Management Platform (DMP) reviews to prevent fraudulent reviews and keep review quality high. We do not post reviews by company employees or direct competitors. Validated reviews require the user to submit a screenshot of the product containing their user ID, in order to verify a user is an actual user of the product. Hi there! Are you looking to implement a solution like Salesforce Data Management Platform (DMP)?